Ok so this is my very first tattoo! I got it in February and I was very nervous but I had an awesome tattoo artist! All of my friends, family and I love it! 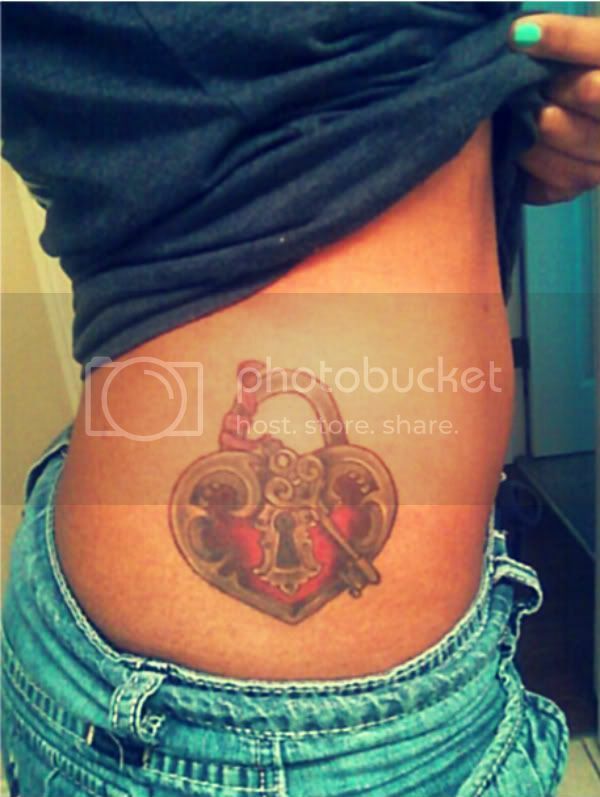 Thank you Matt Dunlap for my vintage heart locket tattoo! You did an AMAZING job! My tattoo is completely healed and the only thing I had to deal with was the itchiness of the healing process. Overall I love my tattoo and I can't wait to get another one! Last edited by bubbles2591; 07-15-2011 at 12:27 PM..
Re: Thank you, Matt Dunlap! Was your post supposed to have a photo in it? Yeah it was but I'm having trouble posting the picture. Upload it to photobucket or imageshack.us. Make sure the size is set to 600x800, so something similar. Then post the BBCode link into a post. The BBCode will have img and /img in brackets at the beginning and end of the link. Matt Dunlap is awesome,He is very professional,envy him work! All times are GMT -5. The time now is 12:33 AM.